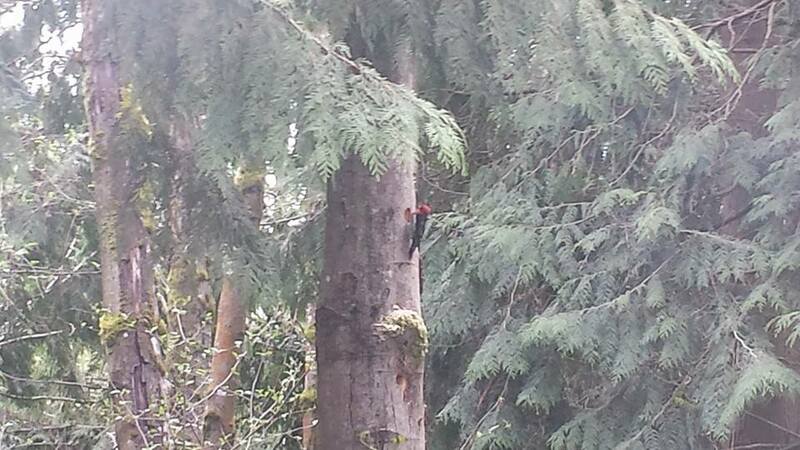 Woodpeckers- a nature show right outside our classroom window! awesome updates and fascinating facts coming soon. It’s getting near the end of our school year. Read, write, do some math, explore some interests. The older kids will review grammar because, well, testing is just around the corner. Honestly, it will be interesting to see how Katie does on her math section as she boycotted math most of the year. I will make it more pressing next year. Hard to push a child who scores years above her peers as it is; and her self-motivated appetite for learning is always an educational feast. I’ve learned to let this one roll at her own pace. Seems to be effective… so far. TJ is wrapping up his junior year. We are working on setting up some goals for his senior year. Senior year! gah! Where does the time go? Andrew is doing great. We stretched his reading time. At first he asked if he could go back a grade (thus less work, lol), but his efforts are paying off and his reading is getting more fluent. I can’t express how exciting this is for me, for learning to read was such a long process for this child, and now learning becomes limitless and opportunities endless. Bryson is wrapping up kindergarten fairly well considering he thinks he’s on a school boycott. His “lesson of the day” board is doing well. 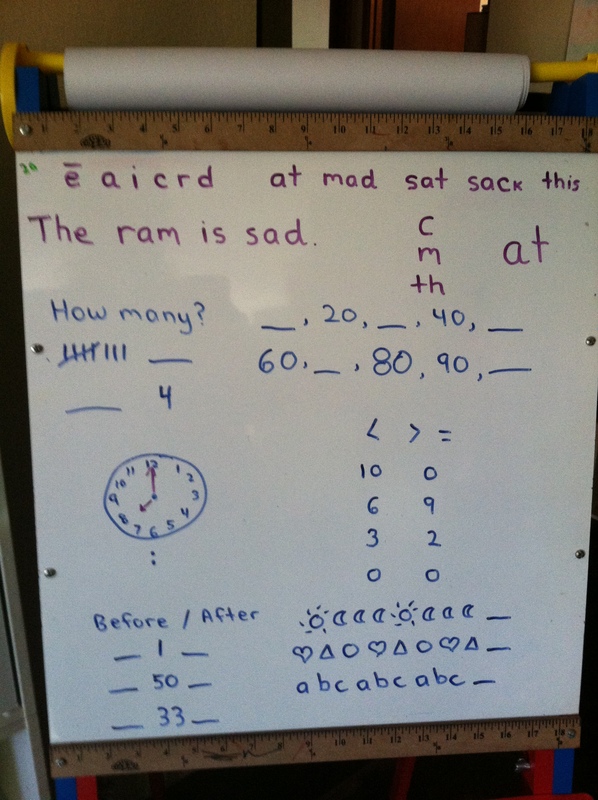 I am going to add money and place value to his board. I think we will transfer his reading lesson to the paper roll at the top of the easel. Can I admit I am already swirling summer fun ideas in my head?! Not to mention outlining plans for next year! I love being a homeschool family!